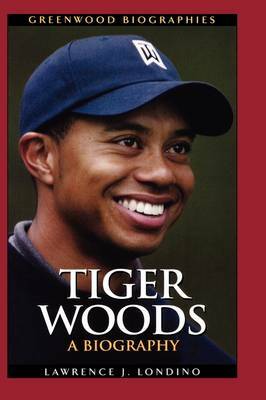 This work examines the life of a golfer who has had a significant impact not only on the sports world but on popular culture as well. Although golf is seldom thought of as a sport for minorities, Tiger Woods has given the sport appeal for a whole new audience. 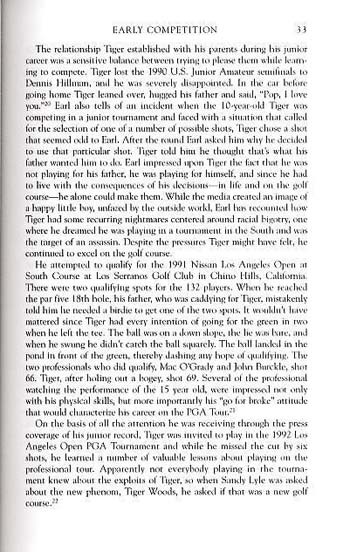 When only a teenager, Woods accomplished many junior records in golf and enjoyed unusual attention for a young person. 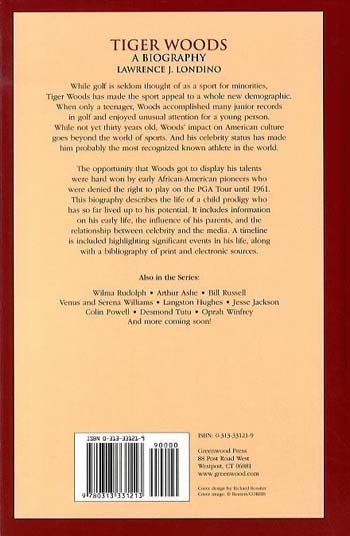 Though he is not yet thirty years old, Woods' impact on popular culture goes beyond the world of sport, and his celebrity status has made him probably the most recognised athlete in the world. 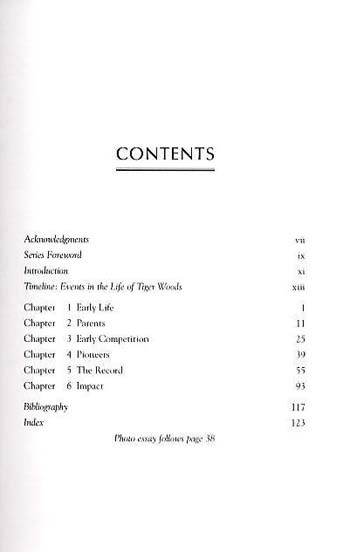 This biography describes the life of a child prodigy who has so far lived up to his potential. 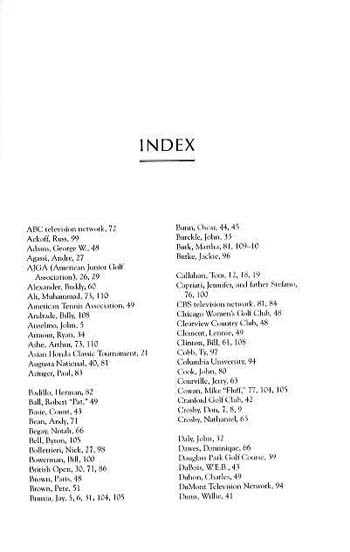 It includes information on his early life, the influence of his parents, and the relationship between celebrity and the media. A timeline is included highlighting significant events in his life, along with a bibliography of print and electronic sources.